1. Turn POWER switch ON (Not used on The Cooler and The Arctic Blast). 2. Fill the ice horn with ice. 3. Press and hold the MOTOR switch to activate blades and begin shaving ice. 5. Release the MOTOR switch when finished. 6. Repeat steps 2-5 for additional batches. 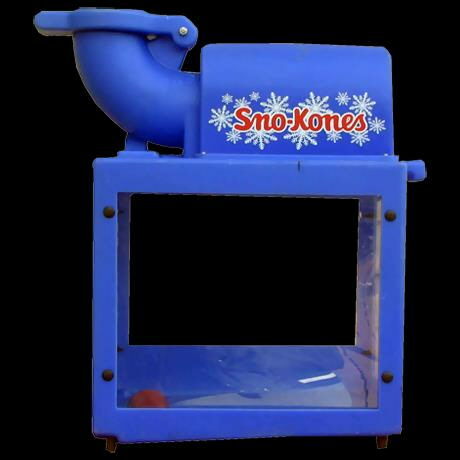 * Please call us with any questions about our sno kone machine rentals in Falmouth MA and Cape Cod.